When the fruits outweighs the oatmeal, I call it a Fruitmeal. Can you see the oatmeal in this picture? This is my typical breakfast these days. Fresh fruits eaten for breakfast, snacks and dinner…is what I call summer meals. 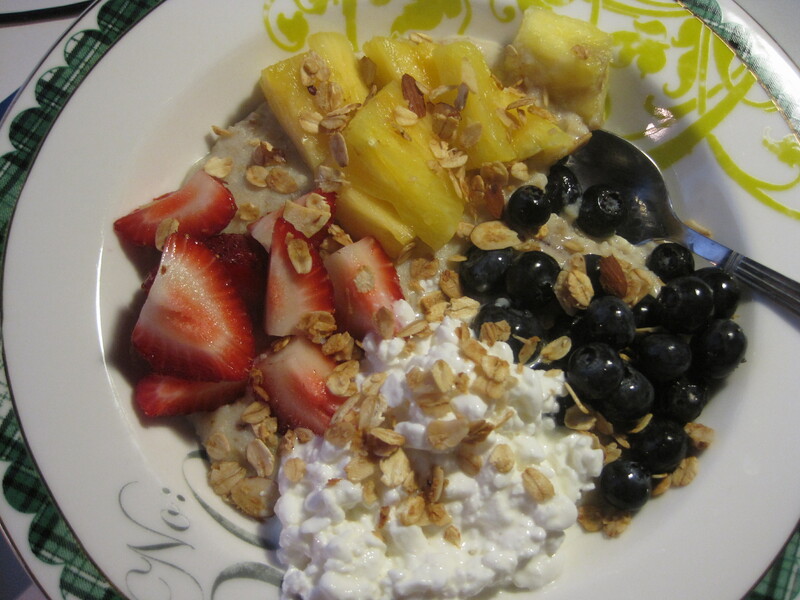 After my run this morning, coming home to a big bowl of oats with fresh fruits makes my tummy very happy.